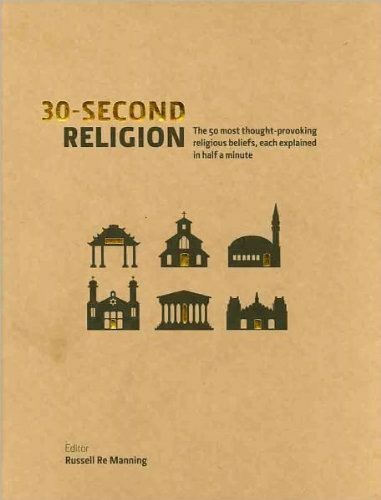 30-Second Religion decants and demystifies the key beliefs, deities, origins, and iconography of the worlds major religions, denominations, and less widespread sects and cults. Whether you wish to understand the key differences between Catholicism and Protestantism, to glimpse the many gods of Hinduism, or to digest a potted Buddhist philosophy, this book is the quickest way to walk the paths and recognize the key signposts of the worlds diverse and fascinating faiths. Travelling from Buddhism to Zoroastrianism, and including features on key religious texts, 30-Second Religion offers a revelation of 50 belief systems in less time than it takes to offer up a prayer.